David's solo makes them go wild! Voted by KOOL FM as one of the top 10 Cover Bands in Arizona! Thank You Fans and Kool FM Radio! The City Nights Band is a high energy variety dance band that plays great music from Bruno Mars to the Beatles, Michael Jackson to Journey, Pink to the Band Perry. Our music is designed to make your event fun for every taste in music, and most of all - keep you on the dance floor! With talented and versatile singers and musicians, City Nights Band will make your event unforgettable! They were great. Everybody loved the music! Thanks Rod! We had a fantastic time! I saw City Nights Band recently at the Tatum Ranch party. The music was a wide variety of stuff that everyone knows and the band killed it! Definitely want to go see them again. We love listening to and watching the City Nights Band each year! They are passionate about their music and their voices are amazing. So much fun for couples (us) or girls night out. Don't miss this fun talented band! I've gotten to hear City Nights a few times and they never disappoint. It's apparent that the talent and skill runs deep. Each individual has powerful stand-alone gifts, but when they are combined, magic seems to happen. They always seem to perform a huge range of songs and adapt to the tastes and energy of the audience. Love them! I've heard this band, and some of its individual members, several times over the years. They impress me with refined and polished "covers" of tunes we all know and love. Sometimes they play songs less often covered, and it is great how that gets a rise out of the crowd. Vocals are top notch, too! Thanks you for the great support Rick, Love having you at our show! Great music to dance to! Lots of fun! This band is fun, keeps it moving, and plays good dance music. Thank you Kim, you have been a terrific supporter of the band from the beginning! City Nights Band was the best! Thank you Howard, the band truly had a great time with all the guests. Reliable, accomplished musicians with a great variety of music! Our songs emphasize multiple vocals so we can play songs that many other bands can't. If you want a certain type of music or genre, we can arrange our set lists to fit your needs. The City Nights Band is a group of energized and seasoned musicians that have played in some of the most successful bands in Arizona. 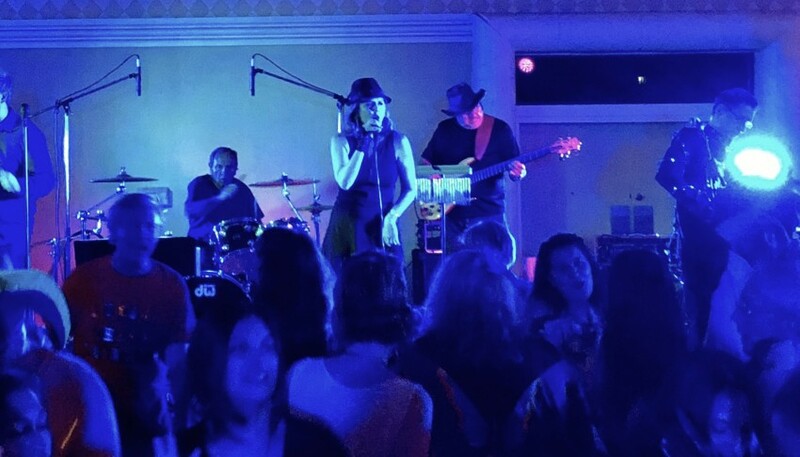 The City Nights Band has focused on a wide variety of music genres that appeal to all ages to ensure a great musical experience. We provide sound and lighting systems or will work directly with the sound professionals at the event to get the band connected to their sound system. Here is a sample song list but if you have a request, let us know. Way too many to note, but always looking to play new and great music!